​All TABLES are Built of SOLID STEEL & OAK, BIRCH, or ASH. The absolute best pool table slate in the world! 'SIMPLISTIC' is a billiard / dining table of an exquisite modern design. It is also our newest. It's stunning, cutting edge, ultra thin frame is lab tested for durability. 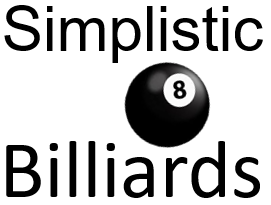 'SIMPLYISTIC' truly redefines billiards tables. We are enormously excited about its long awaited arrival into our public collection. Due to the one of a kind distinct hand-craftsmanship put into each and every pool table please have patience and expect a minimum of 4 -8 weeks for a table of this quality and grandeur to be made, however we constantly have tables in process and a few in stock so please contact us if you would like us to check for you.